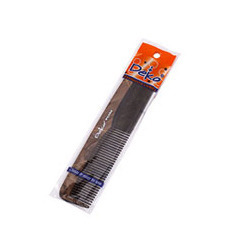 Manufacturer of a wide range of products which include Plastic Pouches For Combs. We are exporting and supplier of an excellent range of Plastic Pouches for Combs that are known for their high quality. This range of packaging product is specially made for hair comb. This plastic packaging keeps the comb clean and safe. This range of packaging product is biodegradable, environment friendly and cost effective.